Any business which has a focused strategy for generating leads online, knows how much hard work must go into turning website visitors into valuable leads. It requires great content marketing, the ability to portray the quality of your service and ultimately, the ability to demonstrate why they should choose you over competitors. Generating leads online means building a lead generation machine. One piece of technology which you might not have considered for supercharging that machine is live chat. Many businesses seem to think that live chat only has customer service capabilities. The technology can be used to provide excellent service with a smile, but live chat set up and managed in the correct manner can offer so much more than just that. 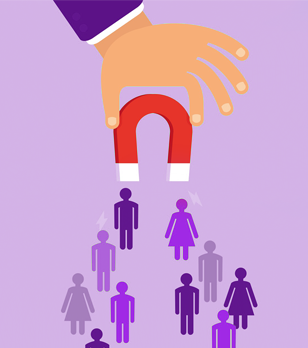 If you’re worried about not generating enough leads then this blog post is for you. We explain some of the ways in which, with a little know-how, live chat can be used to supercharge your lead generation machine. Well trained live chat agents can directly generate more leads from your website in a number of ways. This blog post focuses on how live chat improves the image and feel of your website for potential leads and how it improves your other on site lead generation efforts. Live chat can also work as a standalone lead generation machinehowever; the technology can be used to interact with prospects more effectively with Google Analytics, increase PPC campaign profits, nurture leads to the final lead generation step and qualify leads before they ever interact with sales. In order to turn prospects into leads, you need to have a positive online presence. This is particularly crucial for brands which aren’t household names, but even established companies need to let website visitors know that they are browsing a legitimate website. The presence of support staff directly accessible from your website displays the presence of real people behind it. This is encouraging for anyone wanting to download a brochure or guide and not get spammed as a result of doing so. Live chat helps to build a positive brand image online – a brand which your prospects, leads and customers can reach out to. The live chat agents managing your chat need to know how to develop these positive relationships however. Chatting via text based communication is very different to communicating over the phone or face to face. Our agents are experienced in chatting to a wide range of clients across industries and know to adapt their formality and tone when chatting with different types of prospects and customers. According to the 2014 B2B Web Usability Report, trust is an important element when choosing the perfect vendor and 55% of respondents overwhelmingly replied that a lack of phone number and other contact information reduces a vendor’s credibility, while 37% said a lack of contact information wastes their time. It’s important to develop a positive relationship with leads from the get-go. To turn prospects into leads and leads into sales, they need to be able to trust you and have some form of connection with you. It’s not enough for prospects to like the products/services which you sell; they need to like the people which they will be directly interacting with. Prospects, leads and customers need to have a connection with your customer service representatives, your sales team and your account managers. Without friendly and personable human interaction, prospects start to feel unwanted or undervalued. Live chat agents can start to develop that all important relationship from the first interaction on the website; your sales team can then continue to foster that relationship post-chat. This can be done most effectively with a CRM (Customer Relationship Management system) integration. Relying purely on an automated system to generate leads means a lot of work for sales staff; the sales team would have to do their all to make leads feel human, once they finally speak to them. As inhumane as it sounds, there is little point in your sales team trying to sell to prospects which simply aren’t ready to buy. Live chat allows you to directly interact with prospects in the early stages of the buying process and determine whether they are serious leads. Those which begin conversations by immediately umming and arring about price are probably not looking to buy just yet. These types of prospects can be given some more reading material or can be made known to the marketing team – so that they can be convinced of the value your company offers. On the other hand, prospects that are eager to convert themselves to leads and sign up right away can be fast tracked to the sales team. This method allows you to put your sales team’s precious time to its most optimal use. What is important to understand is that not every chat results in a lead. We send qualified lead details to our clients once they are indeed leads and qualify them too. 61% of B2B marketers send all leads directly to sales; however, only 27% of those leads will be qualified. The sales team’s valuable time is wasted. Live chat breaks down communication barriers early on; potential leads can feel comfortable expressing their doubts or desires. A trained live chat agent can then decipher these messages and point the prospect to their correct place in the buyer funnel. These are just some of the ways in which live chat can bolster your online lead generation efforts. As we mentioned, live chat can also be used to directly generate more leads from your site, when the right technology, analysis and live chat agents are being used behind the technology. Live chat can be far more than just a stick-on customer service tool, when you have the knowledge and experience for turning it into something great. Looking to generate more leads from your website? Find out how our sales enablement programme can increase leads from existing traffic by 50%.